"The terrorist attack in New Zealand is a signal of certain circles addressed to Turkey. The enemies of Muslims have shown that they continue to hate us. We are ready to resist and speak loudly about it in Canakkale… Turkish people will always live on these lands, they will not allow Istanbul to be turned into Constantinople," he said while speaking in the northwestern city of Canakkale which marked the 104th anniversary of the Turkish troops' victory over the Entente powers (Britain and France) in the Dardanelles Campaign during World War I. The New Zealand attack suspect, who was immediately detained, has been identified as Brenton Tarrant, a 28-year-old Australian national and a resident of New Zealand's Dunedin city. Tarrant recorded his views in a manifesto in which he expressed strong anti-migrant and anti-Muslim sentiments. 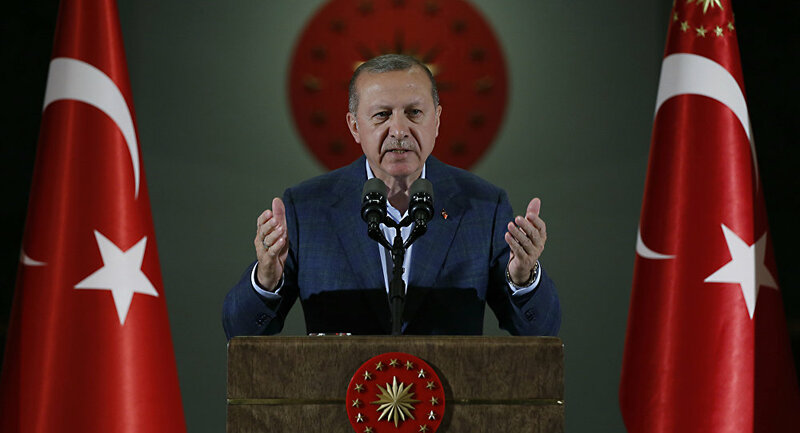 Part of his manifesto was devoted to Turkey and Erdogan, media reported, citing a portion of the document that had leaked online. He reportedly promised to make Constantinople "rightfully Christian" in an open threat to the city's Muslim population. Tarrant e-mailed his manifesto to several people minutes prior to the attack. New Zealand Prime Minister Jacinda Ardern, who has dubbed the tragedy a terrorist act and the country's "darkest day," was one of the recipients of the document. R ~ 'The Turkish people...' Uh-huh.